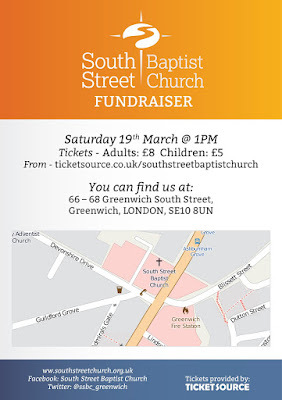 Live music, comedy, poetry, face painting, arts, crafts, games, food and raffle are all on offer at the South Street Baptist Church's fundraiser on March 19th from 1pm at 66-68 Greenwich South Street, SE10 8UN. After the activities and games for children and adults during the day, the evening entertainment will feature soulful singer/song writer Samm Henshaw, jazz singer Jordan Jackson, comedian Travis Jay and poets Anthony Anaxagorou and LionHeart. 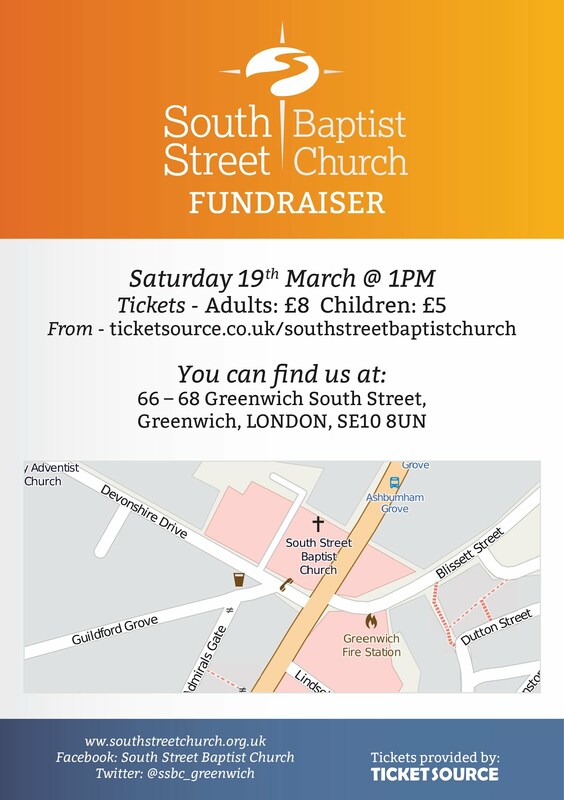 All proceeds from tickets, activities, raffle and refreshments will go towards the South Street building project which will provide disabled access to the church.